FREE Printable Penguin Alphabet Clip Cards for Pre-K and Kindergarten! Can winter get any cuter than little round penguins!? I don’t think so! As a resourceful educator like yourself, I am tasked with finding engaging activities for students that help them learn in a hands-on way! 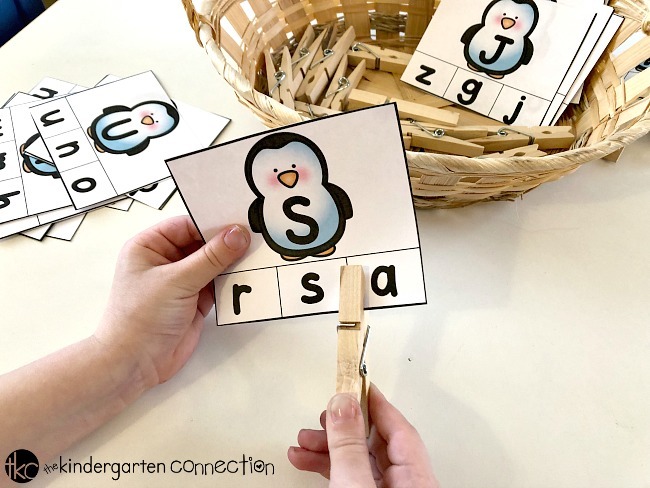 You can have your students practicing upper and lowercase letters in minutes with this easy-prep Penguin Alphabet Clip Cards center activity! *Pair this with our Snow Centers & Activities for Pre-K/Kinder! 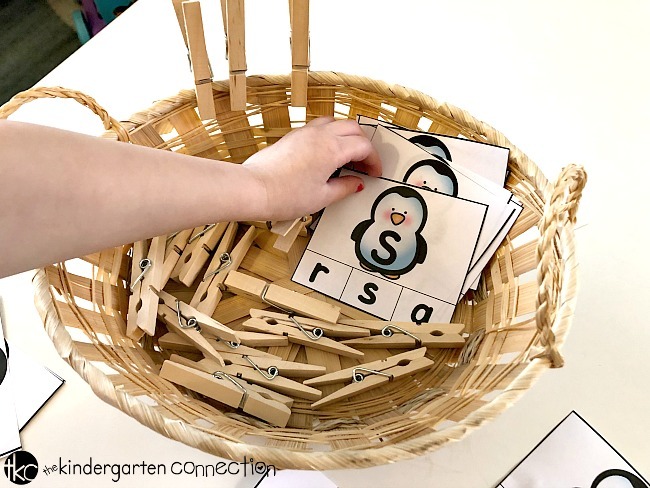 These Alphabet Clip Cards are suitable for Pre-K and Kindergarten classrooms. You can use them in your homeschool or traditional classsroom in either small groups, pairs or your literacy center! You can prep these clip cards in just a few minutes! Simply, print, laminate and grab some clothespins. I like to place the clip cards in a grab bag or basket to make it more engaging. Children reach in and grab out a letter. They name the letter and clip the lowercase letter that matches. Don’t want to use clothespins? No worries! 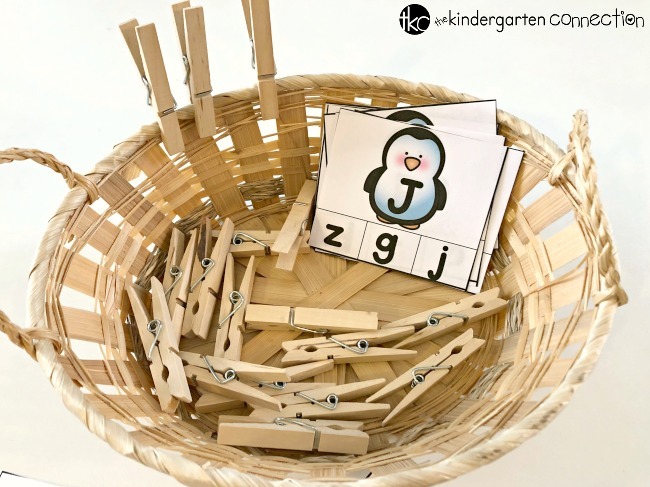 Laminate the alphabet clip cards and children can use dry erase markers to circle the correct letter instead of clothespins. Instead of laminating the clip cards, leave them as they are and you can have kiddos place a sticker on the correct letter. You might even try giving your students BINGO Daubers and have them dab the correct lowercase letter. For partner work, I’ve had kiddos work in pairs where they each take turns grabbing a clip card and saying the letter name. Their partner can check their work by helping them if needed. They take turns grabbing letters until all cards have been clipped. 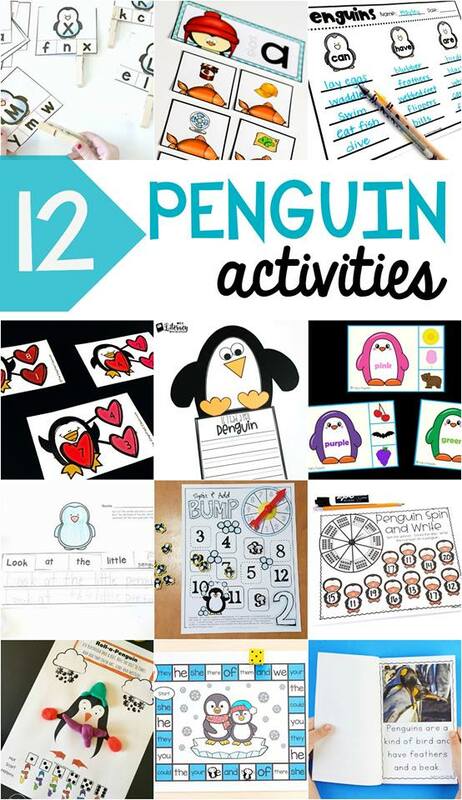 Are you ready to add this adorable Penguin Alphabet Clip Card activity to your literacy centers? Then grab it below by clicking the large, yellow button at the very bottom of the post! What a fun activity!! Thank you so much! Thank you so much. It will be a great addition to our family literacy Penguin Party! I tried to print the pages but the penguins printed out on solid black rectangles. Any ideas? I printed from my iPad.